How can death records help me research missing heirs, relatives, loved ones and my lineage. Dates can confirm a date of birth along with, if originally an immigrant, the year. An address will assist for a place of birth commonly a city directory and land records. Additional relatives can be found in order to piece together a wider jigsaw, such as spouses, children, maiden names and parent’s names. A funeral home or cemetery can also uncover ancestor’s information. There may well be an article in the media (social or newspaper) if death records confirm accidental death or a tragic death. Worth bearing in mind is that if the cause of death is medical this may also serve as a warning to generations past and present. 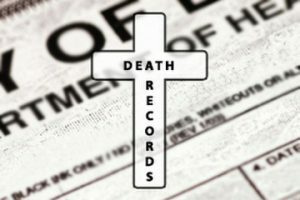 Remember that death records are, of course, the most recent records and the records most likely available. Death records are available in the state where your family member/relative passed away NB: not where they were buried. However death records can be a very useful tool in providing a burial location. Some genealogists and researchers will often prioritize death records mindful that birth and marriage records can sometimes prove exceptionally difficult to find. Some death records searches even help uncover images of actual death certificates which assist greatly in probate research. These documents reveal information about ones lineage in ways that no other search results can. Like any other records that show family history, death records also reveal a large and valuable part of a person’s ancestral background and lineage. These records can help understand where a person has come from, and how his or her family fits into the larger historical picture of the area or the country, or even the world. 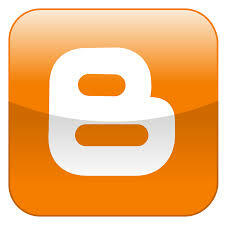 They also help us gain insights into their lives, and their practices. These records serve to work as windows into one’s precious past. Most death certificates, since 1950, have social security numbers. Church records also provided records prior to the local county court house. Death records are considered a ‘primary source’. The information within a death certificate is invariably put forward by someone known as an informant. The balance of information within a death certificate is put forward by the informant and this then becomes a ‘secondary source’ for information such as names of deceased parents. Other than the date, time and place of death, all other information on a death certificate is taken from what is supplied by the informant. This makes a death certificate a secondary source of information for things like the birth place and date, and the names of the deceased’s parents. Moreover, indexes about death certificates and other related pieces of information can be accessed via our online search facility. Our death, birth, marriage and divorce records pages are ideal platforms from where to begin your search. Governmental agencies also track and record such data, but our online searchable data is available for your convenience thanks to the advancements in technology. For further information on death records by State please visit the U.S. Vital Records site. A death certificate may also tell us is details about any illness and the duration along with how the cremated remains were disposed of. The name of the surviving spouse along with how long he or she was resident in the country. The informant, more often than not, is a close relative, child or surviving spouse. Further information that can be obtained from death certificates and records are location and name of mortuary, employee details and/or occupation, where the deceased was resident, their religious affiliation along with the attending physician/doctor’s signature. You may be unsure as to how you interpret a cause of death. Firstly you can refer to older medical terms provided on The Fenton Historical site. A researcher can also use the International Classification of Diseases (ICD) to interpret any or all codes on death certificates. Moreover, our online databases are also complemented by 24 hour assistants and customer service representatives who can guide you if you are looking for someone specific. Their expertise can help quicken the process. These records may not be available free of cost, but the price to pay is very minimal when compared to the value that they hold for many people today.